Hi beauties! 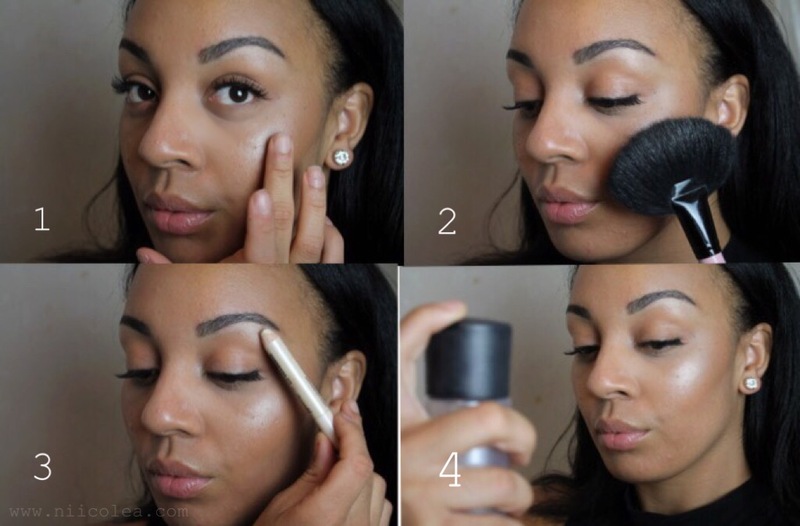 In my latest makeup look I posted, I was requested by Raven Alexis from Stylish Ranter to do a tutorial on how to get glowy skin or how to do “strobing”. As you might have seen in my previous makeup looks, I love to add loads of shimmer to make my skin look luminous and dewy. I have recently tried a new strobing technique that I love and wanted to share. 2. Apply a shimmery highlighter (powder) on those areas you applied the illuminator. Use a fan brush. 3. (OPTIONAL) Apply a shimmery brow pencil on your brow bone. 4. Finally, to set everything and to add additional glow, spray MAC Fix+ on those areas you’ve applied the shimmery products. What do you think of storbing? Yay or Nay!? Love this!! Looks amazing! ! Love a bit of glow! The nars highlighter is on my to buy list. Wow this look turned out beautiful ! You are so gorgeous!!!! I love strobing! Same here, do you have a Twitter I can follow you on?? LOVE STROBING, for summer is perfect!!!!! Loving this look! Also, loving that purple lip color you are wearing in photo!